Published: Jan. 3, 2016 at 01:22 p.m. Published: Sept. 20, 2015 at 01:35 p.m.
Steelers Ben Roethlisberger to Heath Miller for 2-yard TD catch. Also: Roethlisberger to Antontio Brown for 2-point conversion. Published: Oct. 26, 2014 at 07:39 p.m.
Pittsburgh Steelers quarterback Ben Roethlisberger throws an 11-yard touchdown pass to tight end Heath Miller. 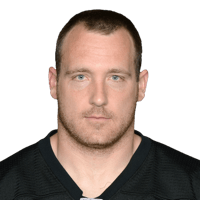 Published: Sept. 28, 2014 at 03:28 p.m.
Pittsburgh Steelers tight end Heath Miller secures a 5-yard touchdown pass from quarterback Ben Roethlisberger.